Innocent Victim or Illegal Activity? Three Armed Men Rob Huntington Station Deli, local residents claim the deli is known for illegal activity. Chapi Deli and Grocery at 139 West Hills Road, Huntington Station was robbed early Thursday morning. According to police, at approximately 5:40 a.m. on January 26th, the deli was robbed and the safe was taken. 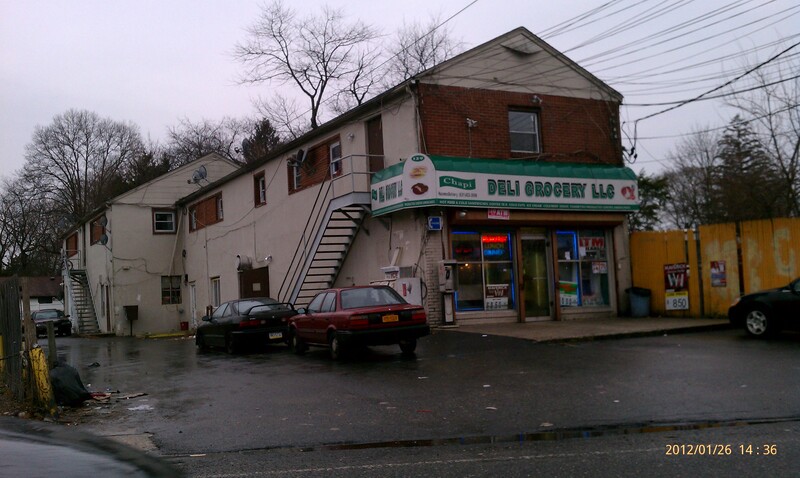 According to sources in the neighborhood and several tips received by Huntingtonian reporters, this deli has been known to serve hard alcohol and sell drugs. There has also been accusations made by neighborhood people that gambling and prostitution are taking place at this establishment. Several local residents told us that the authorities have been made aware of the situation and that these types of crimes are occurring in other neighborhood deli’s as well. According to Town tax records the building and property are owned by Suffolk County. County Executive Bellone recently stated that he will be deploying gang units back to the local communities so they can be made aware of the situation in specific neighborhoods. One resident who asked not to be named stated, “whoever did this knew there would be a good amount of cash in that safe”. Detectives said the three men were wearing masks and were armed with hand guns. According to police, the three employees were ordered to the floor and the safe was stolen. The men then fled through a rear door. The employees were not injured. Detectives are asking anyone with information to call the Second Squad at 631-854-8252 or anonymously to Crime Stoppers at 1-800-220-TIPS. All calls will be kept confidential. One Response to Innocent Victim or Illegal Activity?